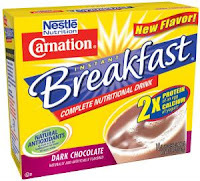 You can save $3.00/2 Carnation Instant Breakfast Products with this printable coupon. Download it through IE or Firefox. Remember to use your back button and grab it twice!